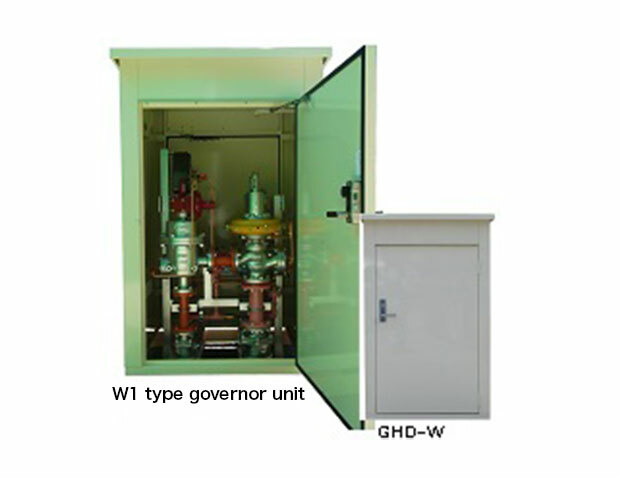 This governor unit is most suitable for dedicated small-flow control. An integrated structure of two-way governor, shut-off valve and angle type filter saves installation space. Unitization reduces cost and work hours. Optionally, shut-off valve can be linked with fire and earthquake alarms, thus enabling the governor unit to operate as a multi-purpose function device (WS-TS type).